In 2006, President Donald Trump and Los Angeles-based real-estate development company Irongate announced plans to develop a Trump-branded resort in northern Baja, Mexico, to be called Trump Ocean Resort Baja Mexico. Trump and the developers spent two years marketing the resort and selling units. In short order, more than 80 percent of the condo units were sold, collecting a total of $32.5 million in buyer deposits. However, the resort was never built, although the Trump Organization still reportedly collected $500,000 in licensing fees. 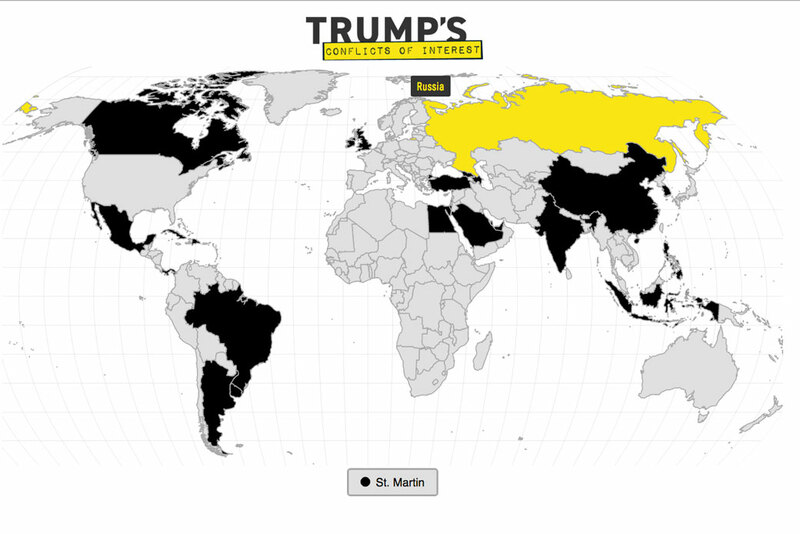 As the Los Angeles Times reported, “every bit of [the deposits was] spent by the time Trump and his partners abandoned the project in early 2009 as the global economy was reeling.” As a result, many of the condo buyers sued Trump and his partners for fraud, with most of them accusing “Trump and two of his adult children, Ivanka and Donald Trump Jr., of duping them into believing that Trump was one of the developers, giving them the confidence that it was safe to buy unbuilt property in Mexico,” according to the Los Angeles Times. The Trumps have denied any wrongdoing, and in 2013, they settled the fraud lawsuit against them, the terms of which are confidential. Trump Organization Chief Legal Officer Alan Garten called claims that buyers were deceived “Categorically untrue.” For their part of the fraud suit, the developers agreed to pay condo buyers at least $7.25 million and likewise admitted no wrongdoing. Related to this failed resort, in October 2016, a Mexican government official and former congressman, Jaime Martínez Veloz, filed a criminal tax fraud complaint with the Mexican federal government against Trump and the Baja resort developers. The complaint alleges that Trump and his partners avoided paying Mexican taxes on their $32.5 million predevelopment sales revenue. 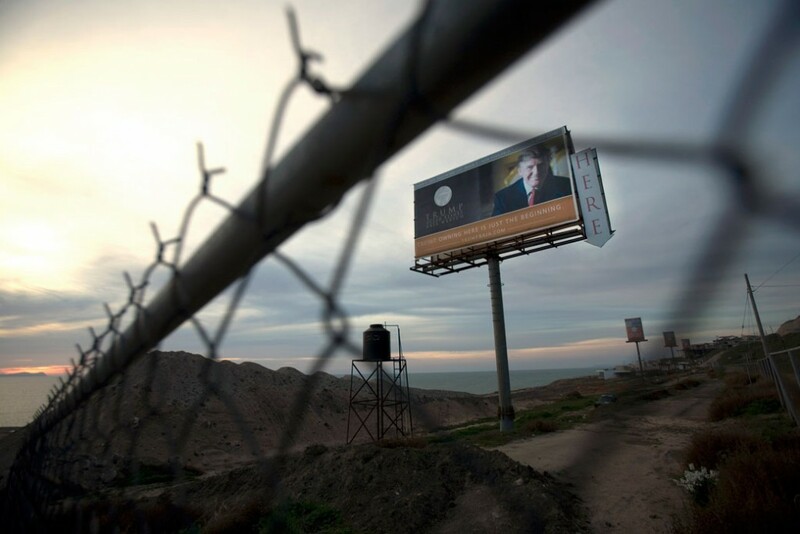 In January 2017, on the same day President Trump signed an order to speed up the U.S.-Mexico border wall construction, Reuters reported that Martínez broadened the complaint to include allegations that “Trump violated Mexican law by, as a foreigner, seeking to buy property within 31 miles (50 km) of the U.S. border to develop the Trump Ocean Resort Baja project” and to “question whether Trump was issued a visa in relation with the project, in compliance with Mexican immigration laws.” Mexico’s attorney general’s office confirmed that it was investigating the complaint, and neither the Trump Organization nor the White House responded to Reuters’ requests for comment. In another deal, this one in 2007, Trump signed an agreement with Mexican businessmen Pedro Rodriguez and Rodolfo Rosas Moya to bring the Miss Universe pageant to Mexico. The business arrangement was worth millions of dollars, but Trump claimed that he was not fully paid according to the agreement, believing he was owed $12 million. Trump reportedly sued Rosas Moya and won but was unable to recoup the lost cash, which has been a source of considerable anger for him. Trump previously held the same four trademarks, but those expired in 2015, and in total, Trump has at least 20 trademarks in Mexico. In speaking with the Associated Press about the trademarks, Trump Organization chief counsel Alan Garten said that the Trump Organization was “not being granted anything we didn’t have before,” as the original trademarks came “years before [Trump] even announced his candidacy.” Garten went on to say that the trademarks, which were originally intended to pave the way for business in the country and to prevent others from trademarking the name and using it for their own gain, are now purely for the latter defensive purpose. 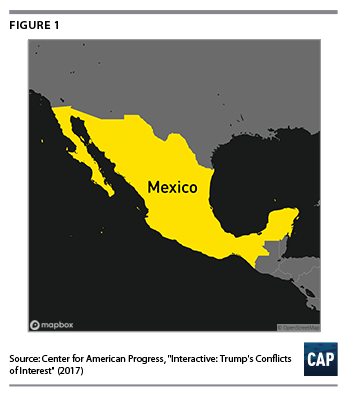 Mexico demonstrates that, again, because of Trump’s many conflicts, his foreign policy views and positions continue to be influenced by his business interests. President Trump seems to want to build a wall on the U.S. border with Mexico at least in part because he believes that he is owed money. The fact that such a wall would be wildly impractical, cost tens of billions of dollars, and potentially spark a trade war that could cause the loss of thousands of American jobs doesn’t seem to register with him even as an afterthought. Carolyn Kenney is a policy analyst on the National Security and International Policy team at the Center for American Progress. John Norris is a senior fellow at the Center.